Daal tadka is a very simple and easy to prepare recipe. It is absolutely tasty and goes well as an accompaniment to steamed rice and any type of Indian bread. Daal is a staple food in the Indian cuisine. 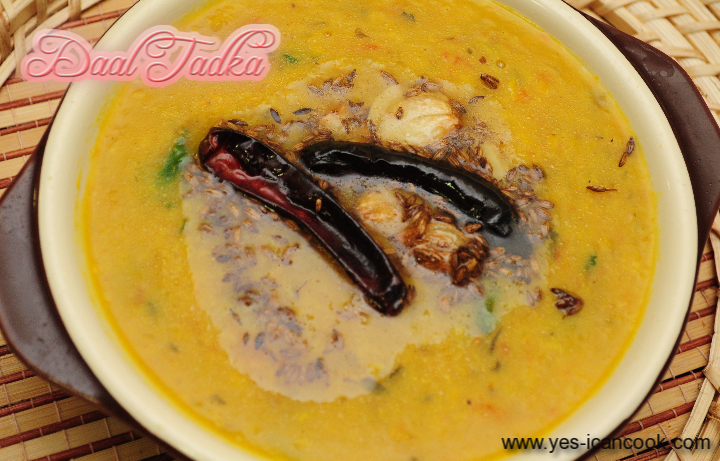 You will find Daal Tadka being served in almost every Indian restaurant in the vegetarian section of the menu. Lentils are cooked with tomato, onion and spices and then tempered to prepare this amazing recipe. I make daal in several ways and this is one of our favorite. 1. Wash both the lentils and keep aside. You can soak them for about 30 minutes if desired. I did not. 2. Add the lentils to a pressure cooker. 3. Add the roughly chopped onion, tomato, green chilli to the lentil. 4. Add salt, turmeric powder, a pinch of asafoetida and ginger garlic paste and mix to combine. 5. Add a cup of water and pressure cook for 6 whistles on medium flame. You can cook in a cooking vessel too but it takes time. You will have to cook till the lentils are completely cooked and soft. 6. Let the pressure release on its own and open the pressure cooker. 7. Mash the lentils with the back of a spoon or a lentil churner. I used a hand mixer. 8. Add more water if required to achieve desired consistency. You can keep it thick or thin. 9. Add kasuri methi, garam masala and coriander leaves and cook for about 5 minutes on low flame. Add water if required. 10. Add a tablespoon of cream. It is optional. 12. In a small pan heat ghee or oil for tadka (tempering). 13. Add cumin seeds and when they start to turn brown add the whole dried red chilli, a pinch of asafoetida and the crushed garlic. 14. When the garlic starts to brown pour the contents into the daal. 15. 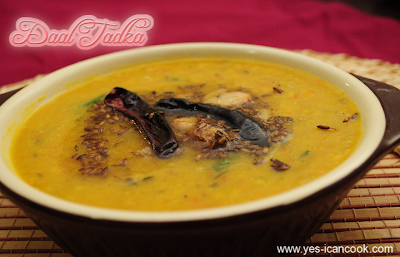 Mix the daal or leave the tadka (tempering) on top. 1. 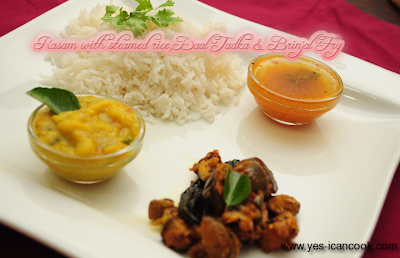 The original recipe calls for Toor daal (Split gram or yellow lentil) but I used Moong Daal (Split Green Gram). You can make this with any one lentil of choice or a mix of lentils.